Sheng Beh defends clients in a variety of consumer and class action matters. He represents corporations—primarily financial institutions, debt buyers/collectors and mortgage servicers—in individual and class action claims based on alleged violations of federal and state statutory regulations such as the Fair Debt Collection Practices Act (FDCPA), the Fair Credit Reporting Act (FCRA), the Telephone Consumer Protection Act (TCPA), the New York General Business Law (NYGBL) and the New Jersey Consumer Fraud Act (NJCFA). Sheng also defends corporations in litigated foreclosure matters ranging from the standing of a mortgage backed security trust and predatory lending to violations of state and federal laws concerning mortgage lending. Armed with a background in computer science, engineering and mathematics, Sheng is especially equipped to assist with litigation within the arena of computer technology such as e-discovery and metadata. He employs technical analysis to provide his clients with resources and knowledge tailored to their issues. Prior to joining Hinshaw, Sheng represented Fortune 500 financial institutions in contractual disputes and matters involving the Financial Industry Regulatory Authority (FINRA), U.S. Securities and Exchange Commission (SEC), Consumer Financial Protection Bureau (CFPB). He also represented national retailers in general liability and premises liability matters. Sheng is a faculty presenter for the National Business Institute's Continuing Legal Education program "Discover the Invisible Web." He lectures on obtaining and protecting data on the internet and using metadata for litigation purposes. 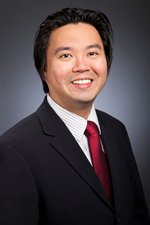 During law school, Sheng was a New York City Bar Association Minority Fellow and a Touro Law Center Faculty Fellow. His other academic accomplishments include graduating salutatorian and receiving more than ten CALI Awards. Sheng also participated in the 16th Willem C. Vis International Commercial Arbitration Moot Court Competition in Vienna, Austria, where his team ranked ninth of 230 worldwide teams. Represented mortgage servicer on appeal before the Appellate Division Second Department of New York where the homeowner attempted to vacate a 2.5 million dollar mortgage by arguing a novel theory that multiple bankruptcies did not stay the statute of limitations because prior actions to foreclose were brought, and dismissed, before the homeowner's bankruptcy petitions. This theory was rejected by the Second Department allowing the mortgage servicer to avoid a possible multi-million dollar loss. Read more about this case on Hinshaw's Consumer Crossroads blog: "Despite Acceleration of Debt Through Prior Dismissed Foreclosure Action, Bankruptcy Petition Tolls Statute of Limitations on Subsequent Action"